Congratulations on your new puppy! If this is your first dog, welcome to the wonderful world of dog ownership. Puppies are a lot of fun, but they also take a lot of work. There are many things your puppy needs to thrive; proper training is one of the most important of these. Puppy training can seem overwhelming. There's so much for a new puppy to learn. Not to worry! These tips can help you navigate puppy training so your new pet will become a happy and healthy member of your family. Socializing is just what it sounds like: It's about getting your puppy out and about to experience new people, places, and situations. 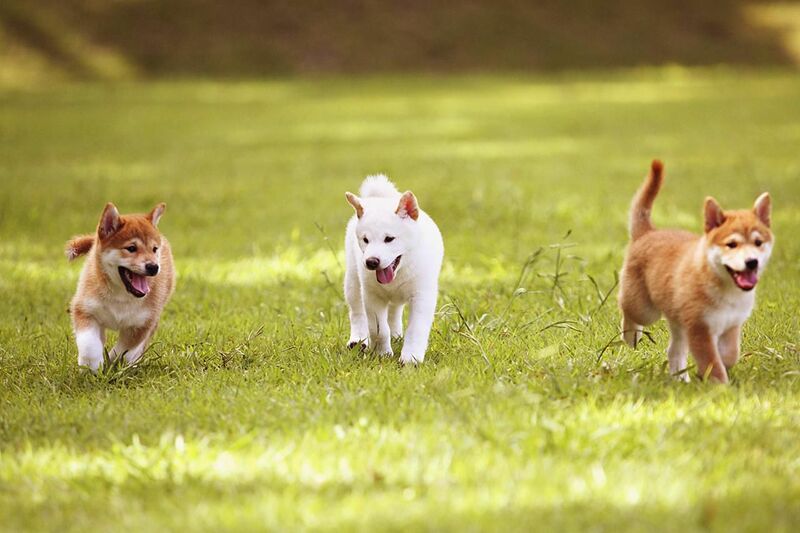 Puppies that are well-socialized usually become well-adjusted adults. Many of the most common behavior concerns in dogs can stem from a lack of proper early socialization, like fear, aggression, and excessive barking. It's important to get your puppy used to a variety of people, animals, places, sights, and sounds so he will not react poorly to them as an adult. In addition, is essential that your puppy is accustomed to being handled in different ways. This will help your puppy feel more comfortable at places like the vet and groomer. Most new puppy owners put housebreaking high on their list of priorities. After all, it's frustrating when your dog pees in the house. House training is one of the first things you will work on with your new puppy. Get your puppy off to a good start by putting him on a regular schedule. Feed him at similar times each day. Take him outside to potty everytime he eats, drinks, or wakes from a nap. Keep in mind that punishment does not usually have the desired effect. Things like scolding or rubbing a pup's nose in his mess will only scare or confuse him. A better method of housebreaking a puppy is to reward him with praise, treats, and playtime when he relieves himself in the right spot. A crate can also be a helpful housebreaking tool. A crate is used to confine a puppy when you are unable to supervise him. If your puppy is given enough time to become comfortable in his crate, it may become one of his favorite spots. Crates can help prevent your puppy from developing bad habits like inappropriate chewing or soiling. Crates are also good tools for house training. Most dogs will not relieve themselves in the same place where they sleep. If your dog is in the crate when he isn't outside with you or under your supervision in your house, you may be able to stop or even avoid the habit of him going potty indoors. A puppy shouldn't be kept in his crate for more than a few hours at a time. However, he should not have the full run of the house, even when you are home to supervise him. There are too many things in a house for a puppy to chew on, hide under, or get harmed by. Confining him to a kitchen or another small room with a door or baby gate can go a long way in preventing your puppy from developing bad habits. Remember, a puppy who gets the opportunity to do something he finds enjoyable, such as gnawing on your furniture, is more likely to repeat the behavior. Confinement keeps him from getting these opportunities. Puppies love to chew. This probably isn't news to most people, especially those with a new puppy at home. Rather than trying to prevent a puppy from chewing, teach him which things are appropriate chew toys. Confinement is one of the tools in your arsenal when it comes to chew-training. It allows you to prevent your puppy from having the opportunity to chew on furniture, shoes, toys, or anything else you don't want him to have. Redirecting him to appropriate toys is another part of chew training. It's not enough to tell your dog "no" when he picks up something you don't want him to have. Instead, you need to redirect him to something he can have, like a dog chew or a Kong. Bite inhibition is an important part of puppy training. It involves teaching your puppy to use his teeth gently. Puppies begin to learn bite inhibition from their mothers and through interaction with littermates. Many puppies need to keep learning this once they go into a home. Begin teaching your puppy bite inhibition by allowing him to use his mouth when you are playing with him, ending the playtime if he uses his teeth too hard. Once your puppy learns that the fun stops when he bites too hard, you should begin to see him using his mouth much more gently. You may also try letting out a yelp sound to remind him to be careful. Bite inhibition is important because it keeps you safe from those needle-like puppy teeth. It also helps prevent a serious bite from occurring when your puppy grows into adulthood. Should he ever feel the need to use his teeth to defend himself, teaching your puppy bite inhibition can mean the difference between a harmless nip and a serious bite. During training, puppies respond better to positive reinforcement than punishment. Punishment may stop unwanted behavior, but it does not tell the puppy what you want him to actually do. Harsh punishments may even lead to behavior issues like fear or aggression. Positive reinforcement makes your puppy want to do more of the things you want him to do. It's quite easy to get your puppy to repeat the behaviors you like by rewarding him with praise, treats, and games. Ignore or redirect your puppy when he misbehaves and reward good behavior. Soon, your puppy will be offering good behavior on a regular basis. When you are training a puppy, you have the ability to teach him good behavior before he begins to develop some of the more common behavior problems. Start off on the right foot by providing your puppy with lots of interesting toys, exercise, and training. A puppy left to find his own source of entertainment is more likely to engage in inappropriate behaviors. You can also use basic obedience commands to prevent common dog behavior problems. For instance, you can ask your puppy to sit rather than allowing him to jump up when you walk through the door. By teaching your puppy appropriate behaviors, you can prevent many of the most common behavior problems. Puppies are able to start working on basic obedience as soon as you bring them home. Training cues and commands help provide a much-needed sense of structure and set of rules for your puppy. 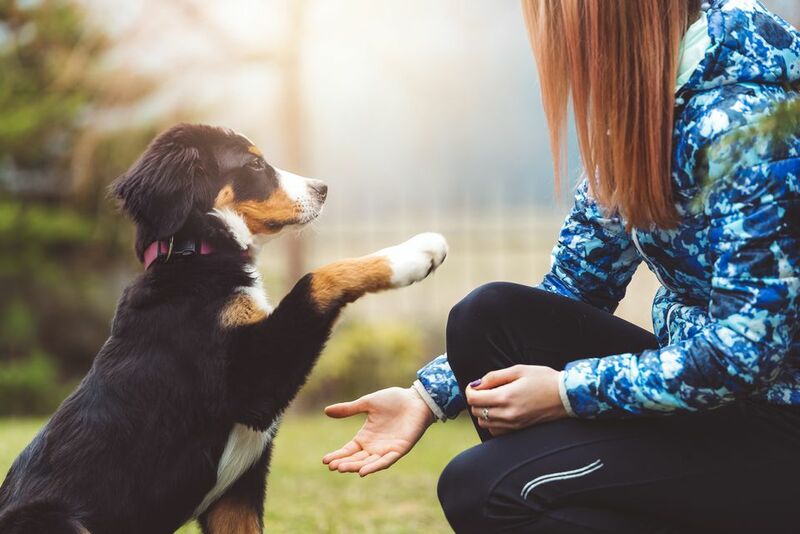 Use positive reinforcement to start working on basic dog training commands, and soon your puppy will be able to sit, lie down, and come on command. These basic commands will go a long way in helping your puppy grow into a well-behaved adult dog. Puppy kindergarten is a name sometimes given to dog training classes designed specifically for puppies. One of the best ways to work on all aspects of puppy training is in a puppy training class. These classes usually offer a little of everything discussed here: socialization, housebreaking, basic obedience, preventing problem behavior, and more. Best of all, it's done under the supervision of an experienced dog trainer so you have less worry about your puppy having a negative experience during training.